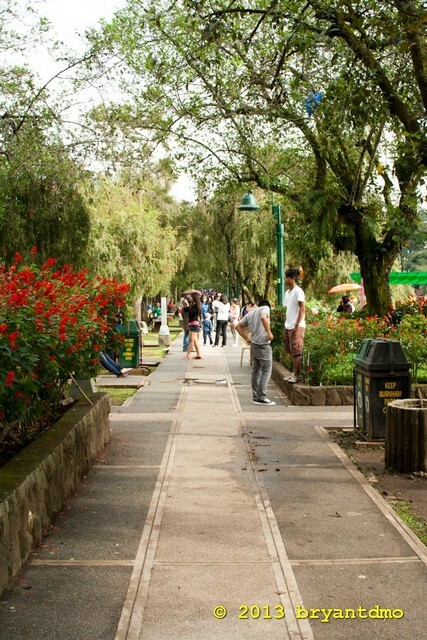 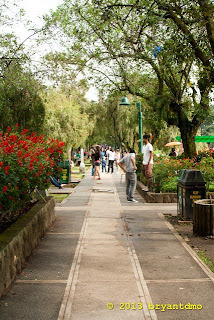 The Burnham Park - at the center of Baguio City, a man-made lake created by Daniel Hudson Burnham. 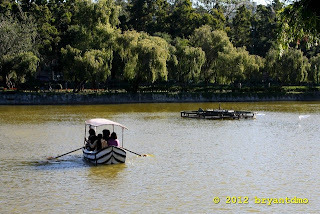 You can enjoy activities such as boating, biking, biking with a sidecar, or just walking around with your love ones. 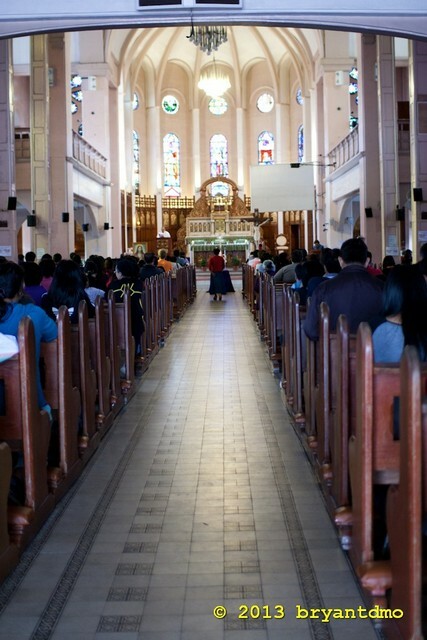 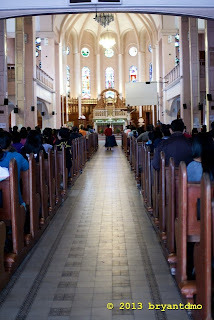 Baguio Cathedral - located near Burnham park and Session Road and a Roman Catholic church. 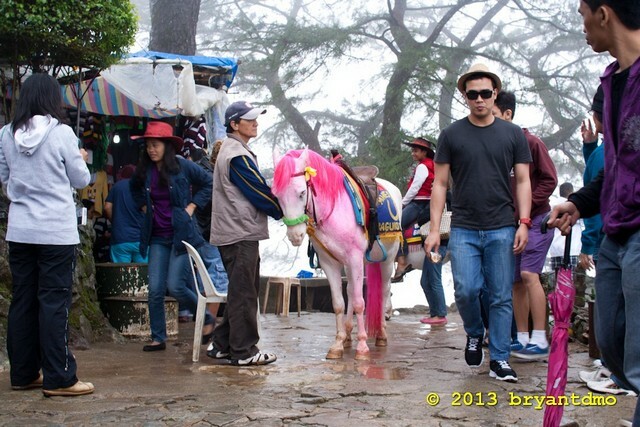 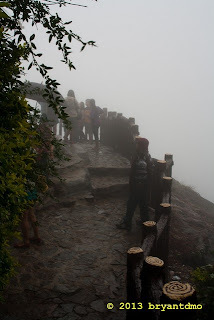 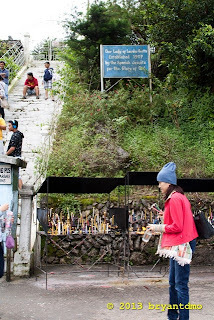 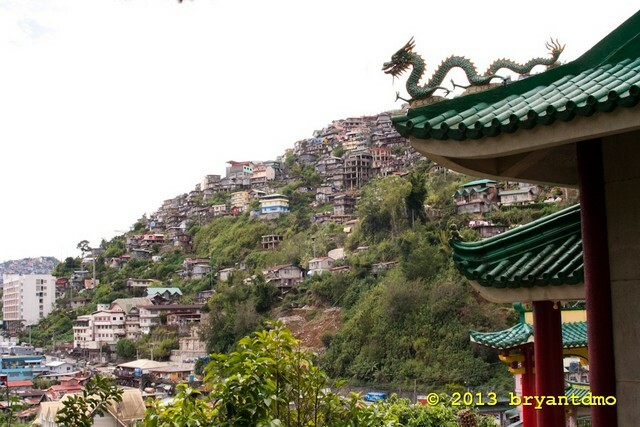 It is one of the most popular tourist attraction in Baguio City. 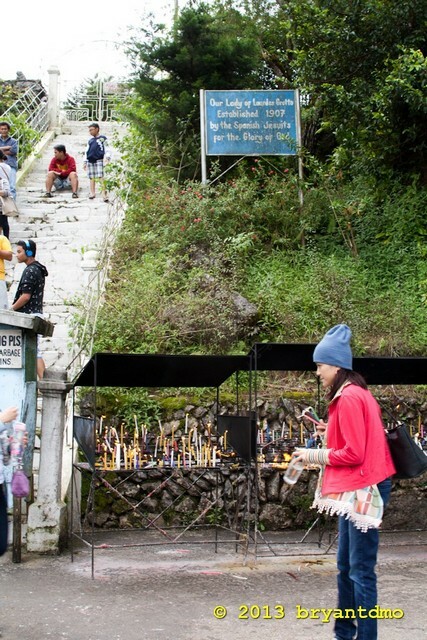 Lourdes Grotto - replica of the original grotto in France. 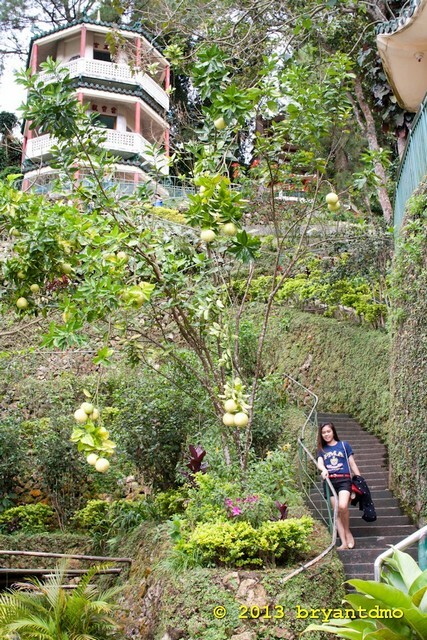 It has about 252 steps to reach the top of the Grotto. Mines View Park - you can view from up there the view of abandoned Gold mining area or the mining town of Itogon. 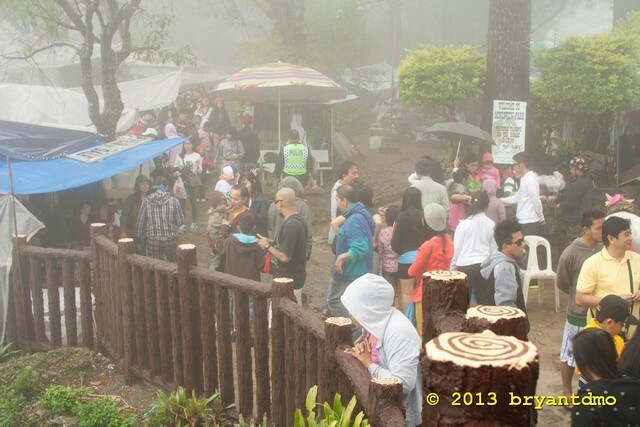 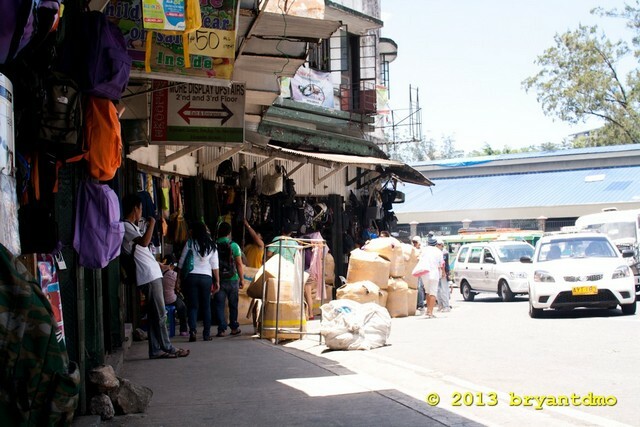 The area has souvenir market where you can buy Baguio made items like accessories, clothes, tools, and foods. 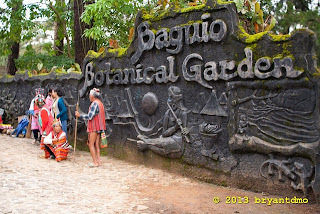 Botanical Garden - it's a good place to have a picnic with your family and you can take pictures with the native Igorots. 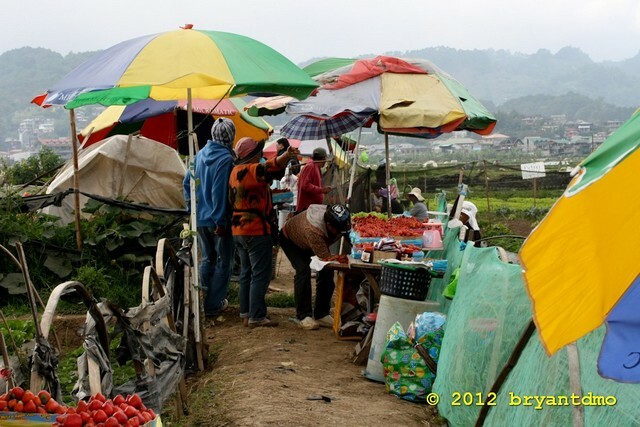 It has also markets for souvenirs like native products of Igorot, clothes, accessories, and tools. 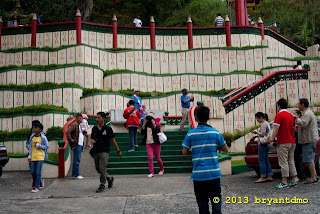 Bell Church - Church of Taoist, located near at the border of Baguio City and La Trinidad. It has colorful temple, landscape, and Pagoda. 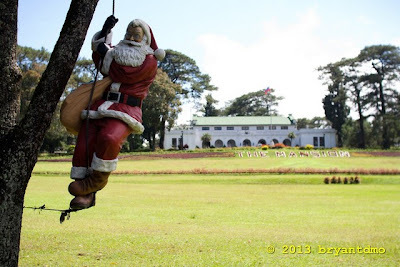 The Mansion - it is a vacation house of the President of the Philippines. Tourists are not allowed inside the mansion, people are only allowed inside near the gate, there are guards on gate that watches you. 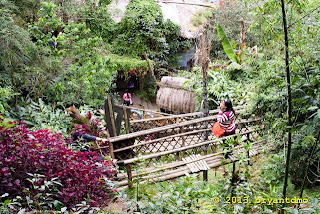 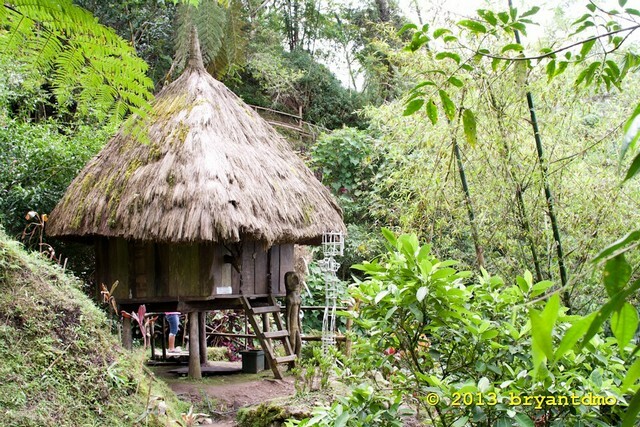 Tam-Awan Village - A Garden in the sky, it's like replica of a village of indigenous people and their way of life. And inside it has a cafe inside, art gallery, indigenous houses, show, culture showcase, and a forest-like garden. 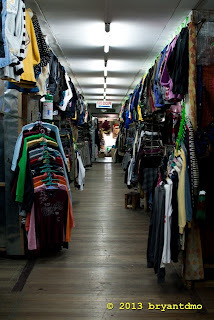 Ukay-ukay - one of the reason people go to Baguio City is the Ukay-ukay. 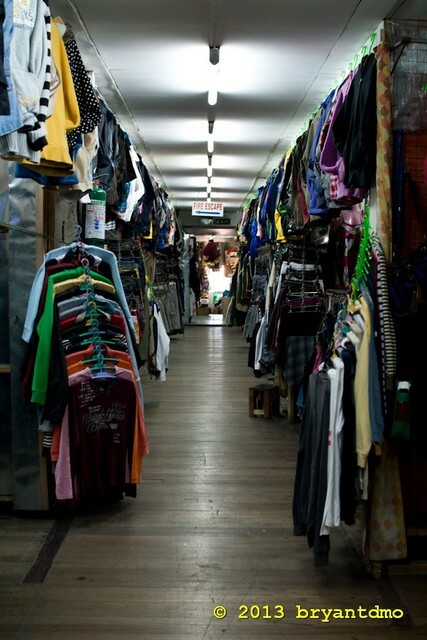 You can find 2nd hand/pre-loved original products, like garments, accessories, shoes, and bags at a cheap price. 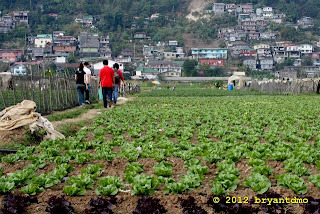 Strawberry Farm - Strawberry farm is located outside Baguio City, it is in La Trinidad, a neighbor town. There, you can pick fresh strawberry straight to your basket. 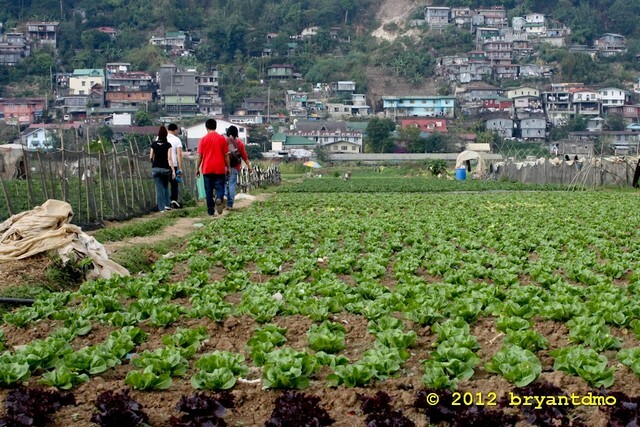 Other green and leafy vegetables are also available like lettuce. 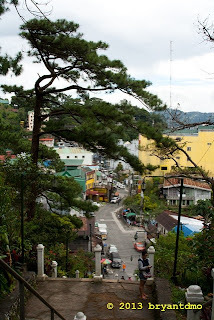 These places are not really hard to find when you get there; taxi drivers are honests, at least most of them, unlike in Metro Manila. 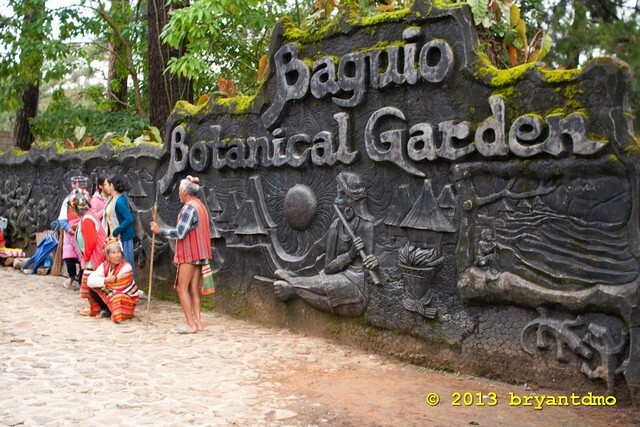 How to get to Baguio City? 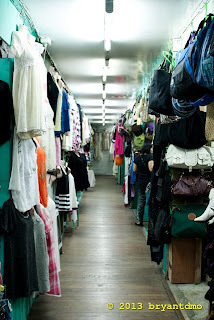 From Cubao, Quezon City, you can ride Victory Liner bus located along EDSA, between New York Ave. and Monte de Piedad Street and Victory Liner in Pasay City. There are also other bus companies that offers trip to Baguio at the same area; there are about 10 bus companies in the area.